Timberland Celebrating 40 Years Anniversary of the iconic yellow boot is going to be held on the 10th of October 2013 at the Mid Valley Center Court. The event is also themed ” A Heritage of Craftsmanship” in a tribute to the 40th anniversary of the Iconic Timberland Yellow Boot. 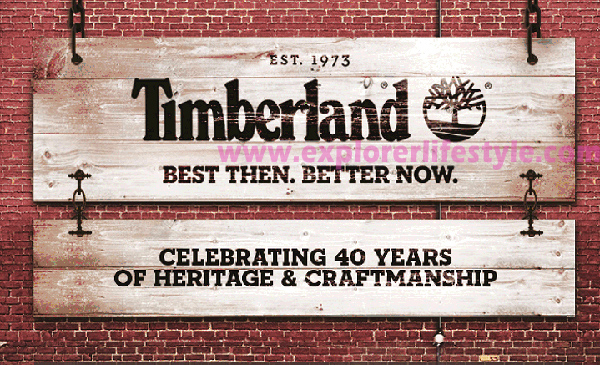 There will also be a Timberland Fall ’13 Runway Show during the event here at Mid Valley Megamall in Kuala Lumpur, Malaysia. If you were a huge fan of Elvis, the Rat Pack, Louis Armstrong, Thelonious Monk and Plas Johnson or if you want to try something new, then check out the Bembol Rockers at Asia Music Festival (AMF) held at 4th and 5th October at Miri, Sarawak. This band from Philippines formed since the Summer of 2006 consisting of Marc Liwanag on guitar and vocals, Lakshmi Kirtan das Ramirez on upright bass and vocals, Archimedes Archie Lacorte on tenor and alto sax, and Steven Hamilton Vasquez Mora on drum. The music that they create, that is what making them so special. A lot of other bands tried to do jazz or rockabilly, but no one tried to combine these two types of music and that is exactly what Bambol Rockers do. A lot of music that they are playing are originals. 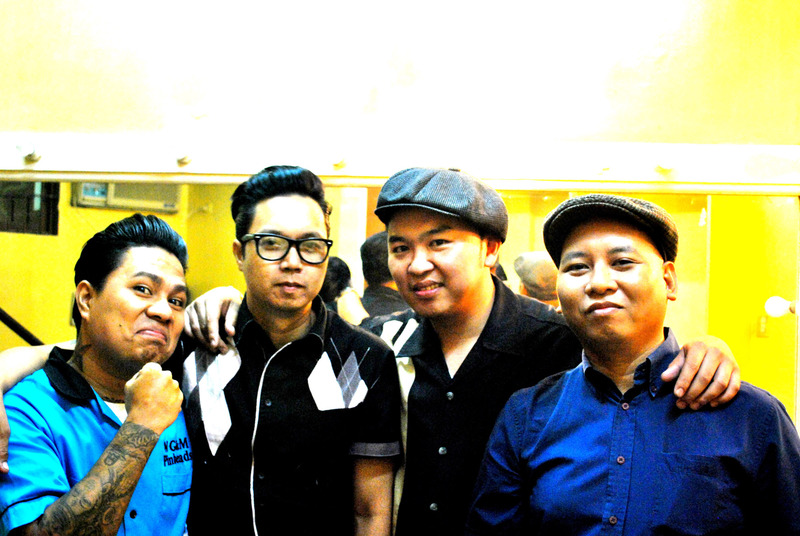 They use the superiority of sound of their kundiman-rockabilly mish-mash and adds a element of Filipino pride. But their main goal is to go back to the classics they all love and recover a new appreciation for it in light of today’s world. Their intention is to influence the younger generation to take a look at the past and see where their music comes from, to create a renewed interest in the Golden Fifties. Not just for the music, but the lifestyle, the dancing and the vintage attire, as well. They also want to make their mark on the Original Pilipino Music scene and help raise its level of artistry. They want to be remembered for music that is positive and fun. Other bands that have been confirmed for this first year event are VSTAR featuring Kamal Musallam (Korea), Anthony Dassan Yen Party Band (South India), Orkes Soesah Tideor (Indonesia), Foxy Girls (Indonesia), Boy Thai Band (Thailand), Tritha (North India) and Fakhrul Razi (Brunei). There will also be bands and singers from Malaysia and among them are Melissa Francis, Starlet Band, The Mountain Wind Band, Hevance Band and Sarawak very own Bob from the famous Malaysian TV program, Akademi Fantasia. Entry tickets are priced at RM30 for adults and RM15 for children/students aged 3-18 (ID required during entry). Tickets available from all STB’s office and Visitors Information Centre located at Old Court House, Kuching (+6 082-423600), Jalan Melayu, Miri (+6 085-434180) and Jalan Tukang Besi, Sibu (+6 084-340980). For enquiries, contact Sarawak Tourism Board at leisure@sarawaktourism.com or +6 082-239171 or log on to http://www.asiamusicfestival.net and http://www.facebook.com/SarawakTravel for more updates. The Killers are coming to Malaysia! They are gracing the stage in Sepang with their new album Battle Born. Along with the concert, MyTeksi is at it again providing a safe and secure ride home. 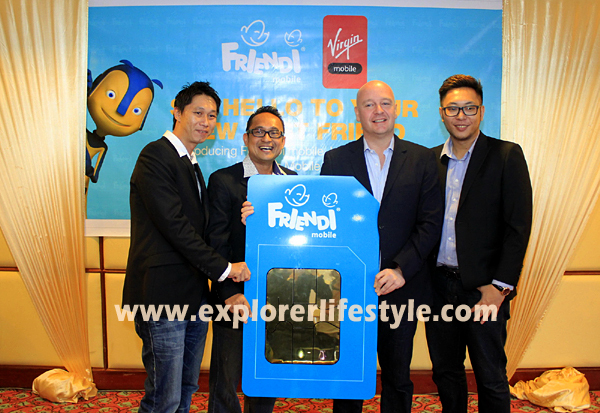 In two months, MyTeksi has secured rides for Good Vibes, We Love Asia and plans to partner with Arthur’s Day. Despite being fresh in the business, MyTeksi is making their mark at Malaysia’s biggest events. Their services facilitates the ultimate concert festival experience, removing the hassle of designated drivers and parking. But more than that in partnering with events, MyTeksi is making itself part of Malaysia’s young new cultural fabric. 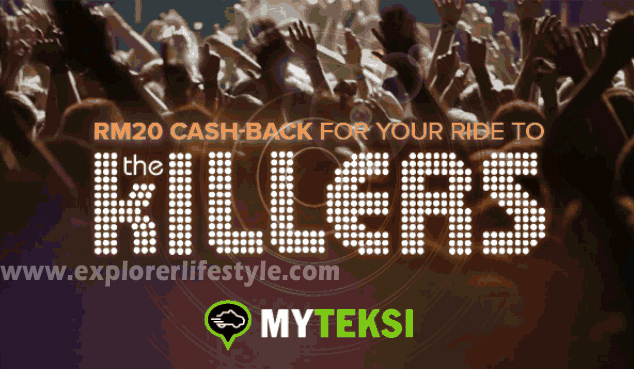 For The Killers, MyTeksi is offering RM20 cash-back for all taxi rides booked via the MyTeksi app to the event (anywhere from Klang Valley, Cyberjaya, and Putrajaya only). MyTeksi strives to offer users the ability to enjoy a hassle free concert with seamless transportation to and from the event. However, what might be seamless to your everyday concert goer is hard work and planning for MyTeksi. Prepared to serve not just the passengers but also their drivers, MyTeksi pulls out all the stops. In addition to setting up to serve their passengers, MyTeksi also values their drivers by making sure they have dinner and a place of their own. Events for MyTeksi are not about business, they’re about people. Also they’re giving out free ice cream! Yes, free. Anyone with the MyTeksi app is free to collect on some sweet Artisan Potong Pops. At every event so far, MyTeksi has been helping passenger’s satisfy their sweet tooth and get home with fuller stomachs. Music events are a place to enjoy the night life. MyTeksi is putting taxis where and when you need them. Though simple it is innovation at work. As a young start up, it’s doing two important things: answering a problem most Malaysians have had with getting a taxi and tapping into Malaysian youth to start a change.